Innovative Motor Works has swiftly become a trusted name for drivers of specialty vehicles in the Gold Coast area, from classics and hotrods that need a practised hand and good old fashioned know-how to prestige and high-performance European models that require that additional technical knowledge. Our team is uniquely experienced to handle your performance car, boasting over a decade of experience as a technician for Porsche. We take the extra care that customers expect with their vehicle, new or old, and treat any vehicle that rolls into our workshop as our own. If you've got a vehicle you wouldn't trust with any old mechanic, give us a call today and find out how Innovative Motor Works can help you. Buying a new vehicle is a major investment of your hard earned money, making the warranty that comes with it valuable peace of mind. Maintaining your vehicle's warranty often requires a number of scheduled vehicle inspections and services recorded in your vehicle's logbook. While many dealers will insist that your vehicle's logbook services must be conducted by the dealer's own on-site service department, you can save yourself the added expense and hassle of this by bringing your vehicle to us. The team at Innovative Motor Works is able to conduct logbook services on all makes and models of petrol, diesel, LPG and hybrid vehicles, as well as light commercial vans and utes. If you'd like to book your next logbook service with us, contact us today! Before selling your vehicle, transferring ownership to another party, or registering an interstate or unregistered car for use in Queensland, you will require a safety certificate from a vehicle inspection station approved by the Queensland Government's Department of Transport. As an approved inspection station, Innovative Motor Works is able to perform the required inspection of your car, and ensure that it meets Queensland's strict road standards before issuing you with a safety certificate. If you're looking to buy a used car from a third party and would like a little extra confidence in your purchase, we can also perform pre-purchase inspections to search for existing mechanical problems your intended vehicle may have lurking under the bonnet. If you need a safety certificate for your vehicle, or to have us look over your next used car, contact us today to book in an inspection. To find out more about what a safety inspection entails, please check the DTMR website. To find out more about what we can do for you, contact us today! Your brakes are your vehicle's number one safety feature, and with the stop-start nature of inner-city driving they're often subject to more than their fair share of wear and tear. Keeping your brakes in good condition will mean your vehicle's more responsive and manoeuvrable in critical driving situations, and can potentially save you from an expensive trip to a panel beater. If you suspect your vehicle's losing a bit of stopping power, have an expert check your brakes as soon as possible. Innovative Motor Works can look at your vehicle's brakes, and fit replacement brake pads, calipers, rotors, and other key components as required. We're also able to check your brake hoses for fluid leaks, recondition worn parts to prolong their life, and machine new parts custom tailored for your vehicle. Contact us today if you'd like to know more, or to book your vehicle in for a brake service. If you're experiencing handling problems or ride comfort issues while on the road, it may be indicative of faults in your vehicle's steering or suspension system. Steering issues can manifest as "play" in your vehicle's steering column, or your vehicle being sluggish or unresponsive at the steering wheel. Likewise, problems with your vehicle's suspension can result in body roll through corners and potentially damage to your vehicle's undercarriage. At Innovative Motor Works, we're able to repair and replace key components in your vehicle's steering and suspension, from power steering systems, wheel balancing and alignments to car springs, shock absorbers, coil-over suspension systems and bushings, as well as lift kits and 4x4 upgrades. If this sounds like something your vehicle might have, contact us today to organise an inspection and quote on your next suspension and steering service. There's a world of difference between servicing a conventional road car's transmission, and opening up the gearbox of a precision European engineered performance vehicle. Should a fault develop in your vehicle's drivetrain, it will take more than the average repairer's know-how to see to its proper repair. At Innovative Motor Works, repairing intricate European model transmissions, manual and automatic, are our speciality. 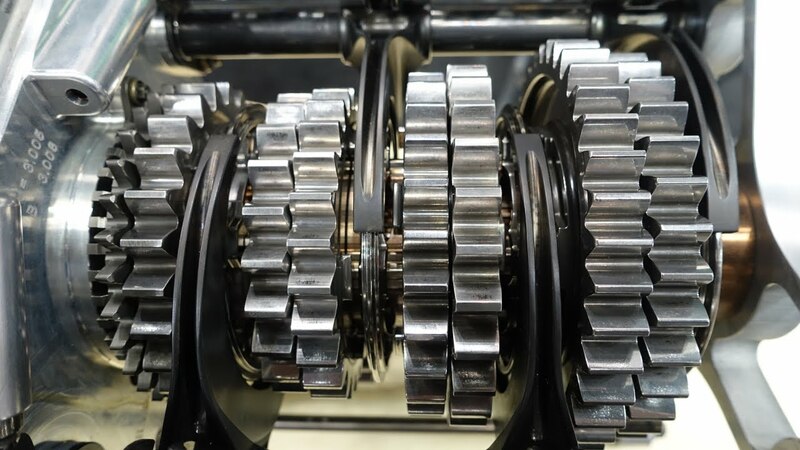 We can service your vehicle's gearbox and clutch for issues, repairing and replacing key components as necessary. We're also able to maintain and repair your vehicle's differential, making for increased stability from your drive wheels while turning. To find out more about how we can get your vehicle's transmission back into gear, contact us today. Keeping the engine of a high-performance engine in good shape requires a properly functioning exhaust system to draw spent air away from the engine. Problems with your vehicle's exhaust can result in a loss of power from the engine and greater fuel consumption as your engine compensates for the lack of clean air, and the potential build-up of deposits in the engine itself, causing major problems later. In addition to repair and replacement of your vehicle's stock exhaust system, we can also modify exhausts for added performance and a stronger engine tone, as well as recommend and install custom tailored muffler and extractors for performance-minded drivers. To find out more about our exhaust services, give us a call today. In Australia's climate, having a properly functioning air conditioning system in your vehicle is vital for comfortable motoring. Problems with your vehicle's air conditioning don't just develop in the warmer months, however; even when your air con isn't being used, cracks and leaks can develop, sapping your air con's ability to keep your cabin cool when you need it. We're able to check your air conditioning system for the sort of cracks and leaks that can make summer driving unbearable, before re-gassing your vehicle's system to keep your air con at peak performance. If your vehicle isn't quite as cool as it used to be, call us today to organise an inspection of your vehicle's air con. At Innovative Motor Works, we specialise in highly sophisticated, precision-engineered performance vehicles, with a host of onboard electronic components to keep your vehicle running as regular as clockwork. Without the right maintenance and parts, an electrical fault can wreak havoc on your car, with consequences anywhere between a glitchy car stereo to losing essential systems like stability control, airbag deployment or worse. Our experienced in-house Auto-Electrician is equipped with the tools and know-how to conduct a thorough check of your auto-electrical system using the latest Snap-On diagnostic equipment to locate and repair electronics issues. We can also test and replace other key electrical components, including batteries, alternators and starter motors, as well as install new audio systems, accessories, and dual battery or solar panel systems. If you'd like to know more about our auto-electrical services, contact us today. It's easy for even the most experienced driver to be overwhelmed by the sheer number of options when looking to buy new tyres. Whether you're after soft-compound tyres for your vehicle's next track day, harder compound to get the absolute most possible use on the road out of your wheels, or specialty treads for wet or dry conditions, finding the perfect set of tyres for your vehicle can be a hassle without expert advice. Our experienced technicians at Innovative Motor Works can recommend the right tyres for your vehicle, local conditions and driving style, fitting, aligning and balancing them for optimum control behind the wheel and minimum tyre wear. To inquire about our tyre services or to have some new rubber fitted, contact us today.